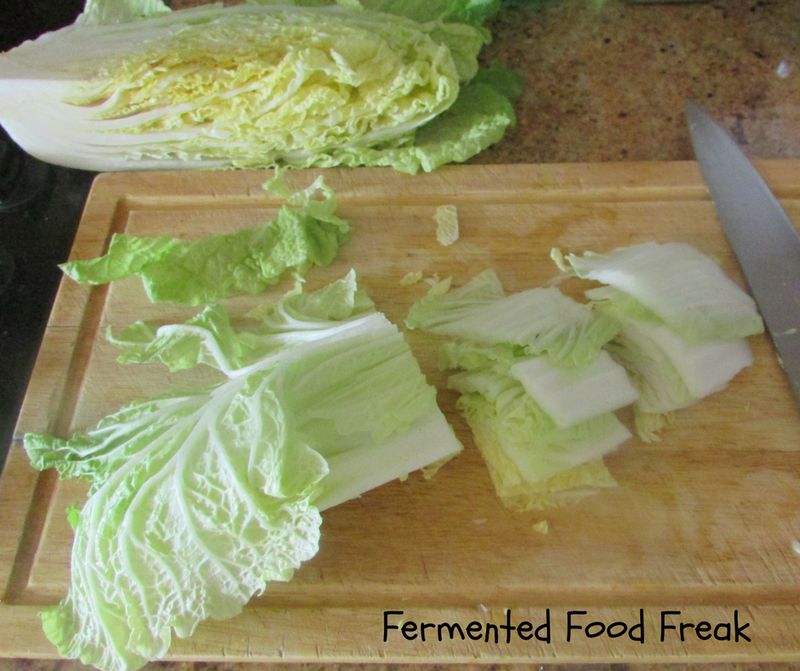 As said in my previous post, the most difficult part of making Kimchi is getting the proper ingredients. 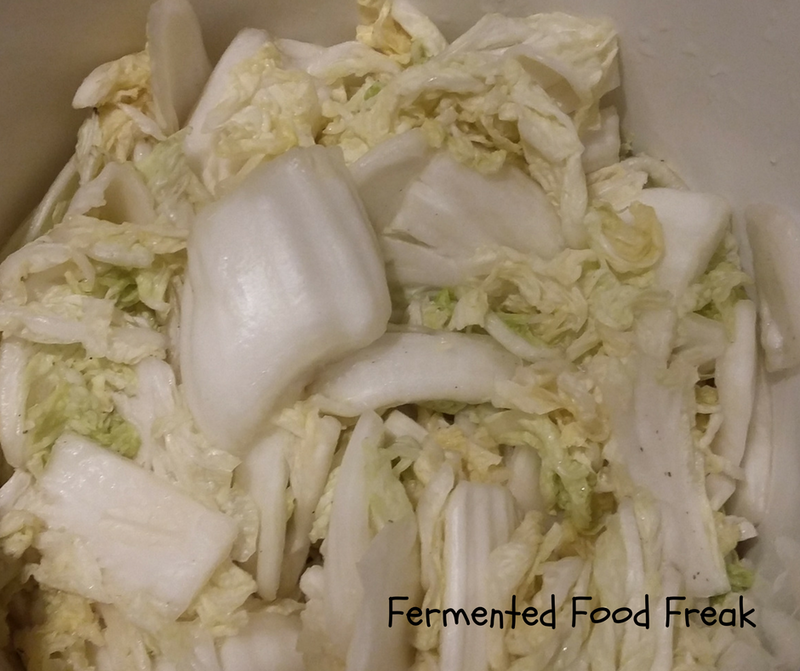 Even though some people just ferment any veg with ginger and garlic and called it Kimchi, I recommend to be a bit more ambitious and at least use legitimate Nappa cabbage as the base. 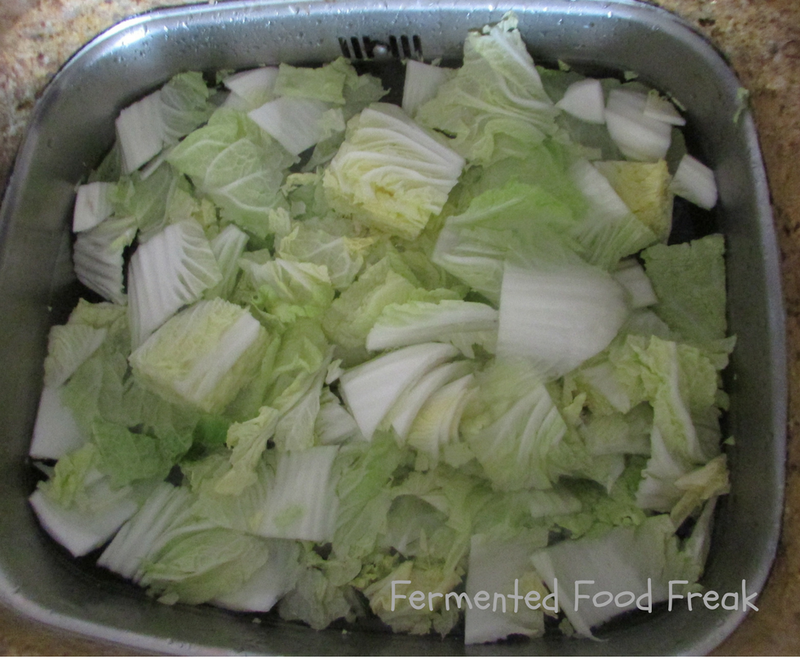 Cut the cabbage lengthwise into quarters and remove the cores. Chop them into about 5 cm long pieces. Mix the paste with cabbage and the rest of the vegetables; I call this part the Kimchi spa because you have to do this with your hands; it feels so pampering and smells heavenly. Put the mixture into jars, cover with lids (don’t forget to place a piece of baking paper under each lid) and leave at the room temperature for about 5 days (for some reason, I always forget to take a picture at this stage); if you used 4 Napa cabbage heads, you will probably need three 1-liter jars but prepare four, just in case. 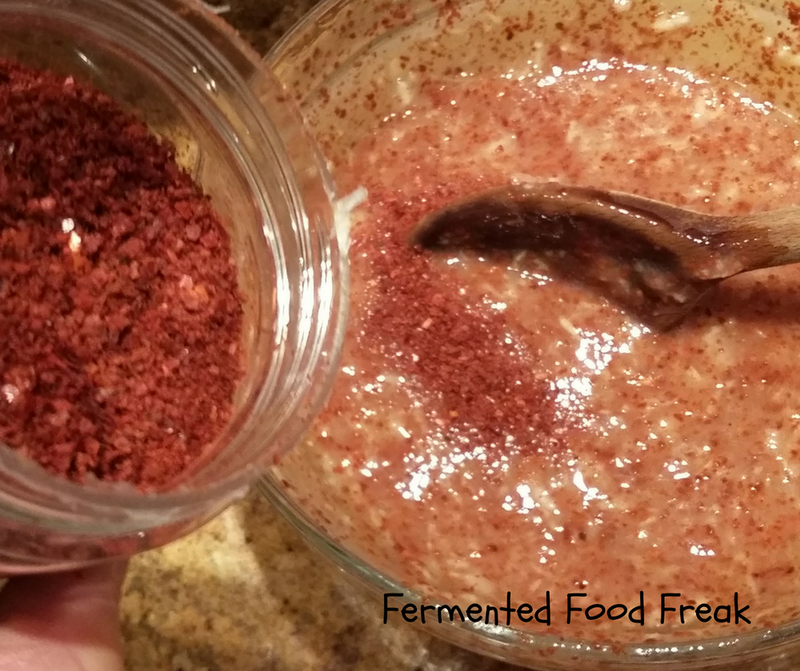 When you are happy with the taste (for me, it usually happens after 4-5 days), move your jars to the fridge. Enjoy as a side dish, condiment or standalone meal. 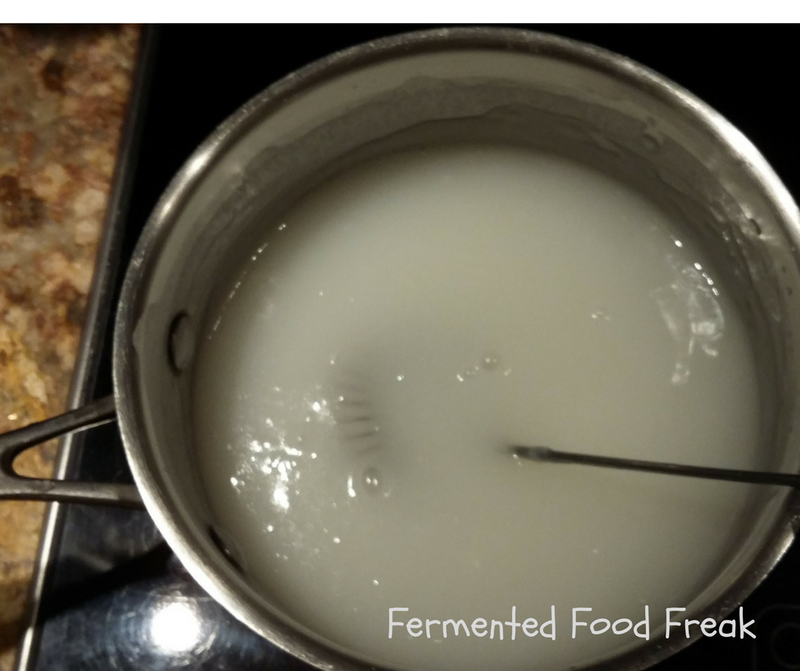 As with all fermented food, you can safely keep your jars in the fridge for months. It certainly looks like kimchi served in restaurants! 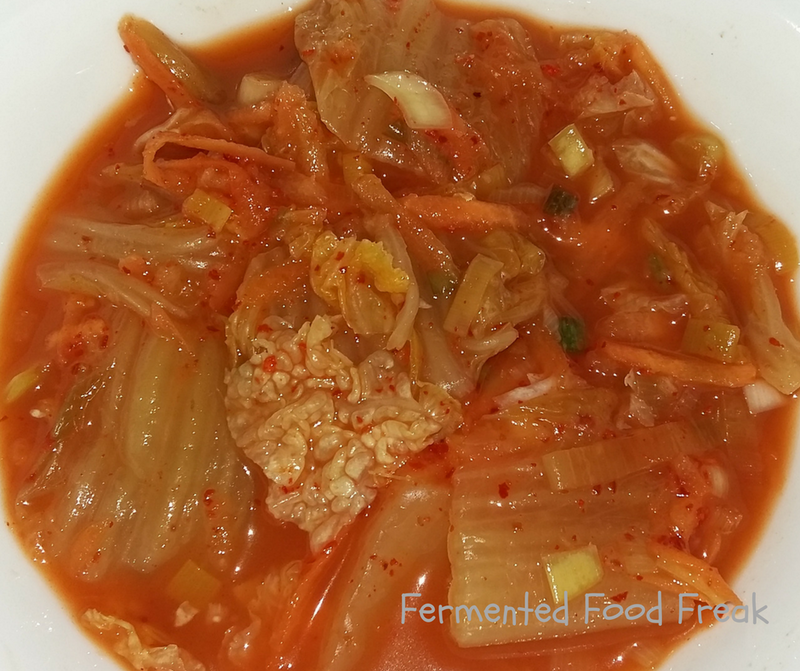 I have made rhubarb kimchi thanks to Kitchen Counter Culture. Your recipe has some interesting details such as soaking cabbage leaves in water and using rice flour…Hmmnn! Must give it a try. Thank you, Elisabeth! I hope my kimchi also tastes a bit like kimchi in a Korean reatsaurant. Thank you for the link. I am a big fan of KCC but missed this recipe. Looks so delicious, especially as I love rhubarb. Will have to try soon. That is so pleasing to hear: that you are also a fan and you love rhubarb. I bet your kimchi tastes good. I wish I could taste it! Just call in if you are in Dublin! 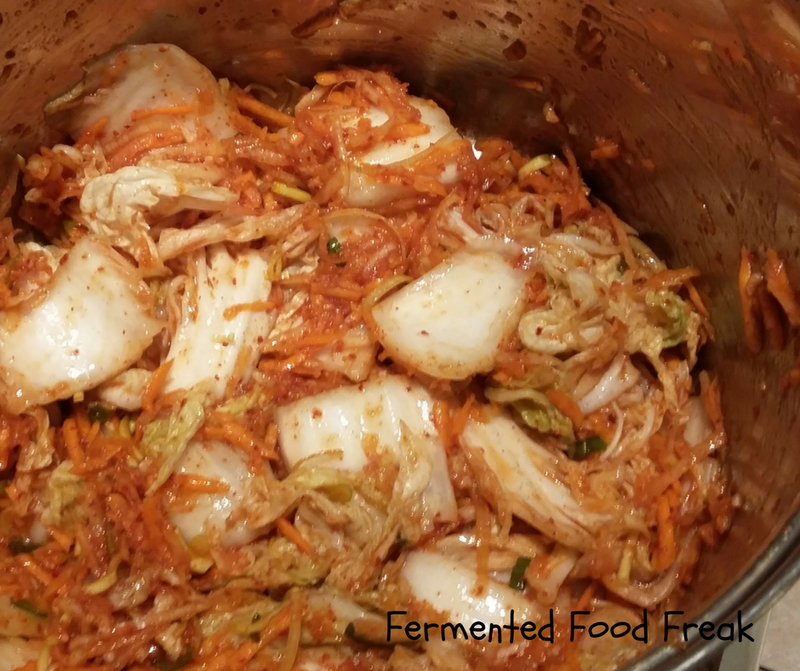 Previous Previous post: What is Kimchi? Next Next post: Pickle Riiiick!